Address: 671220, Republic Buryatia, Kabansky r-n., pos. Tankhoy, Krasnogvardeyskaya st., 34. 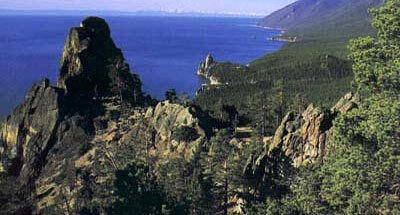 Zapovednik Baikalsky, in the southern part of the Republic of Buryatia, was founded in 1969. Its area is 165,7 thousand ha. Situated on the terraces of the southern shore of Lake Baikal and in the central part of the Khamar-Daban Mountain Range, at heights of 2000-2300 m above the sea level. For the northern slopes alpine relief is characteristic, with cirques, canyons and sharp ranges; the relief of southern slopes is more flat. In the plant cover of the northern slope a dark-fir taiga prevails formed of fir, cedar and spruce with muskegs and birch areas. Higher this is replaced with almost Park-like fir forests, thickets of cedar elfin woodland, rhododendron, and alpestrine meadows. In the upper parts of slopes and on flat mountain tops bush and lichen tundras have developed. 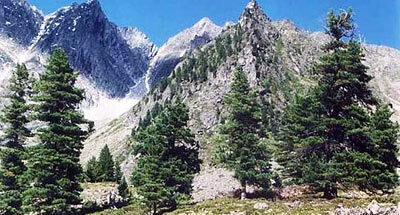 The southern slopes of the Khamar-Daban Mountain Range are occupied by light coniferous larch-pine and cedar-larch taiga with steppe zones at the foot of the slopes. The wood-covered area is 112,5 thousand ha. Flora comprises 312 plant species, including 12 rare species. Fauna is typical for mountainous southern taiga. It consists of 49 animal species, 272 bird species, and 7 fish species. Sable, brown tear, Siberian weasel, and common weasel are very numerous. Lynx, skunk bear and river otter are encountered. In summer such species as maral and elk are usual, migrating in winter to the southern slopes. Of the bird species hazel grouse, wood grouse, Tetrao urogalloides, Lagopus mutus; birds of prey (black kite, hen harrier, kestrel, sparrow hawk) and owls (hawk owl, Ural owl and great gray owl) are the most prominent. Nesting places of fish hawks and golden eagles are found. Since 1985 the Zapovednik has a structural subdivision, the Kabansky Nature Zakaznik, a federal Park founded in 1974 with an area of 12,1 thousand ha. 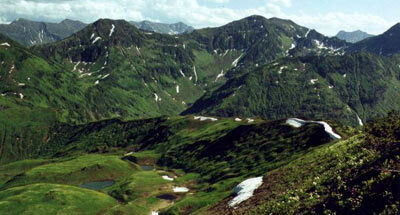 The Zapovednik has biosphere status.